It is a legal requirement under the Construction (Design and Management) Regulations 2015 (known as CDM 2015) to appoint a principal designer to plan, manage and monitor the pre-construction phase of a project where there is more than one contractor appointed. The Construction (Design and Management) Regulations 2015 are the main set of regulations for managing the health, safety and welfare of construction projects. CDM 2015 applies to all building and construction work and includes new build, demolition, refurbishment, extensions, conversions, repair and maintenance. Usually, the principal designer is appointed by the client directly. The CDM principal designer will co-ordinate all matters relating to health and safety, ensuring that designers take health and safety into consideration in all aspects of their design. The CDM principal designer must liaise with the principal contractor for the duration of the principal designer’s appointment, and share with the principal contractor information relevant to the planning, management and monitoring of the construction phase and coordinate health and safety matters during the construction phase. 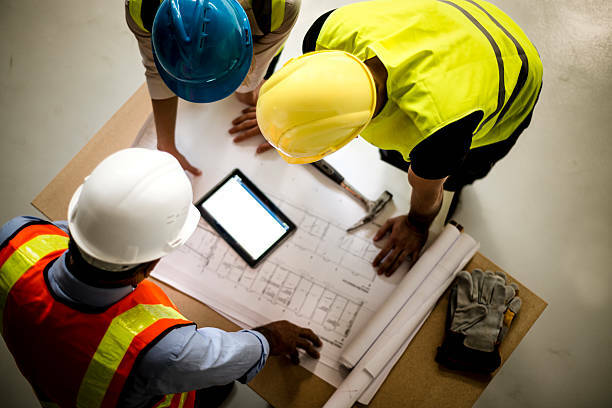 Construction site safety audits – carried out during the construction phase to give you peace of mind that your contractors are working safely and as detailed in the Construction Phase Plan. A wide range of experience in the commercial, industrial and heavy engineering sectors. As a result, we will ensure that health and safety is at the forefront of your project. With offices across the UK, our consultants are available to ensure that your project is undertaken in a compliant, professional and above all safe manner.